To everyone who loves to dance, sing, light - is dedicated! 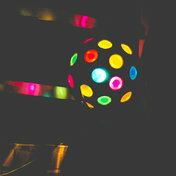 Selection of the best compositions of 80's Disco. For you play: Ricchi E Poveri, Toto Cutugno, Al Bano, Chris De Burg and many others. By the way, many of these artists you can see and hear on November 28 in the Olympic Sports Complex at the Autoradio Festival "Disco 80"! Listen to the collection Disco 80's on Autoradio in high quality, absolutely free. You can listen to the whole collection, or separately song by song. In addition to Disco 80's on Autoradio of the collection, you can find any other one by following the link and get information with the already collected collections and collections of tracks, songs and music.